This blog meme is hosted by Book Date. It is a place to meet up and share what you have been, are and about to be reading over the week. It’s a great post to organize yourself. 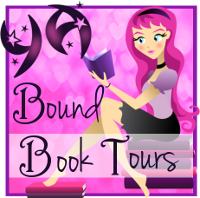 It’s an opportunity to visit and comment, and er… add to that ever growing TBR pile! This weekend I finished Dear Martin, which was amazing! I’m currently reading Things To Do When It’s Raining by Marissa Stapley. Next I will be reading Wicked Charm by Amber Hart. What are you guys reading this week? Have you read any of these books? Let me know in the comments! Author jilljemmettPosted on February 5, 2018 February 4, 2018 Categories It's Monday, What Are You Reading? I’ve fallen behind on my list of books I want to read. I just added these ones! Thank you for the suggestions!